When I first saw it, it reminded me of the Kelpies in Scotland. 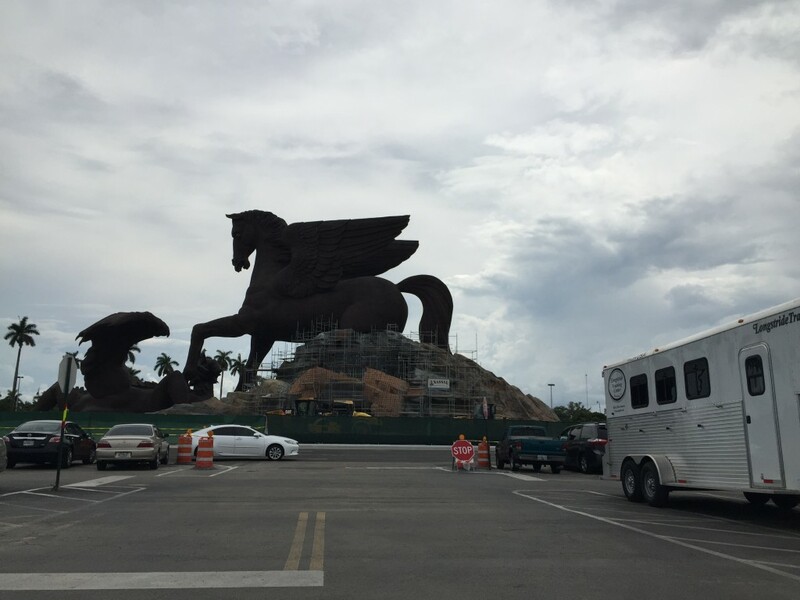 Almost as big at 110 feet and not as expensive to create at $30 million dollars, the giant Pegasus Sculpture is promising to be an anchor attraction for Gulfstream Park. When complete it is to house the Jockey Hall of Fame for horse racing and it will be the tallest public art in South Florida. Below are some pictures of the concept sketches of the Pegasus Park Sculpture when completed. Unlike the opinion of other blogs I am excited to see the completion of this awesome project and its official addition to South Florida’s public art collection.